The decision to allow your beloved companion to undergo surgery is never an easy one. Despite the confidence we have in our abilities and state-of-the-art surgical suite, we know that surgery is difficult for both you and your pet. This is why we work as hard as we do to ensure your pet's procedure is as comfortable and stress free as possible. Perhaps the most important pre-surgical step we take is to discuss with you why we believe a particular procedure is necessary and what it entails. We will also provide information on proper postoperative care and answer any questions you may have so that you feel comfortable that you are making the right choice for your pet. 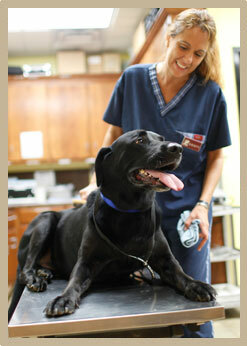 St. Bethlehem Animal Clinic truly believes that our personal attention to each patient and client is what makes our surgical services unique. St. Bethlehem Animal Clinic is very proud of the quality of surgical care we provide and the wide range of surgical procedures we offer. Dr. Ronald Whitford, our Chief of Staff and nationally recognized speaker, writer and consultant within the veterinary profession, is the primary surgeon and has more than 40 years of professional experience. Beyond spays and neuters we also perform extensive soft tissue surgeries including but not limited to thoracic, liver lobectomy, kidney, foreign body removal, intestinal, splenectomy, gastric bloat, hernia, soft palate, declaw, corneal grid keratectomy, and thyroidectomy. Since companion animals, especially those in their later years, can suffer from a range of joint and ligament injuries and maladies such as arthritis, orthopedic care is an important component of keeping your pet healthy. We offer a full range of orthopedic surgeries, which includes femoral head ostectomy, fracture repair, ACL repair, and patella luxation repair. 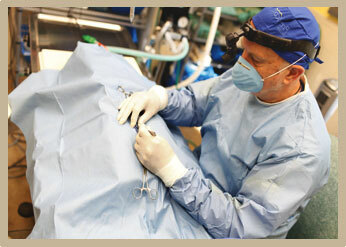 In all, it is our goal to provide your pet with the best and most appropriate surgical care possible. Laser surgery is one of the most humane surgical techniques available. Laser surgery minimizes bleeding by cauterizing and sealing small blood vessels, reduces pain by sealing nerve endings as it passes through tissue, limits swelling because there is no physical contact between the laser and surgical area, and reduces the risk of infection. In all, a laser promotes more rapid healing after a surgical procedure as well as reduces the risks of undergoing surgery. St. Bethlehem Animal Clinic was the first in our area of the country to offer this very important surgical technique and tool. Ensuring the health and safety of your pet during surgery is of the utmost importance and requires an anesthetic and monitoring regimen that adheres to the highest principles and ideals of veterinary medicine. At St. Bethlehem Animal Clinic your pet has access to state-of-the-art anesthetic administration and cardiovascular monitoring equipment and protocols. 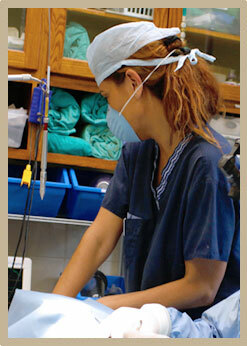 Prior to your pet's surgery he or she will be examined and a pre-surgical blood screen will be performed. The results of these tests and your pet's past anesthetic history, breed, preexisting conditions, and age are used to create an individualized anesthesia protocol for your pet. We also offer inhalation anesthesia and disassociative anesthesia. It is interesting to note that disassociative anesthesia—IV narcotics—is used in human cardia operating rooms because it is proven to be safer than inhalation anesthesia. While under anesthesia your pet will be cared for by a well trained and experienced veterinary technician using our multimodal vital sign monitoring system, which tracks blood pressure, heart rate, respiratory rate, body temperature, and oxygen level. St. Bethlehem Animal Clinic takes pain control very seriously and no animal is ever allowed to be in pain in our clinic. In fact, pain management is not just about compassionate care. We have found that a proper and balanced application of pain medications means your pet will be able to heal quickly and with less discomfort. 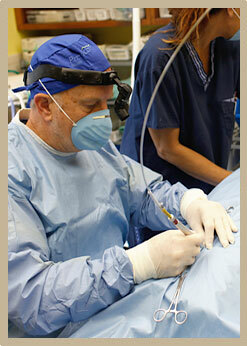 Therefore, pain management is an important aspect of our pre-, intra-, and post-surgical protocols. 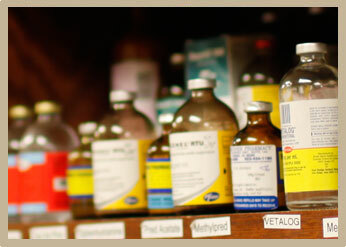 At discharge, we may also send additional pain management medication home with you and your pet after providing a thorough explanation of its proper use and dosage. As your pet is being discharged from the Hospital, we will provide you with detailed information on how to properly care for your pet at home after surgery. We are also happy to answer any questions or concerns that may arise once you get your pet home. This program is designed primarily for those with very limited financial resources unable to pay the normal spay/neuter fees of the practice but is open to everyone desiring to utilize the program. All pets must be picked up before clinic closing on same day as surgery or boarding overnight fees apply. Distemper Parvovirus vaccination highly recommended but not required. High risk pet breeds, pets over age 7, obese pets, and pets with other medical conditions are not accepted into this reduced fee program for the safety of the pet. Fees: Call the practice for current fees. Click here for Consent Form and options.